"Studying at the A Level Academy has developed my confidence and independence. You can just be yourself and I couldn’t have been made to feel more at home." A Level Academy alumna, Shannon Heaton, is pursuing her passion for law and psychology by choosing to progress onto a degree at The University of Manchester, to prepare for a career in the criminal justice system. Shannon, from St Helens, has always enjoyed academic study such as researching topics and completing extra reading around her classes at school, so after completing her GCSEs at Rainford High Technology College, she joined the A Level Academy at St Helens College to study A levels in Law, Psychology and Sociology. Outside of the classroom, Shannon juggled a part-time job at Costa Coffee, often working long weekends but still managed to fit in extra revision sessions and complete assignments ahead of deadlines. 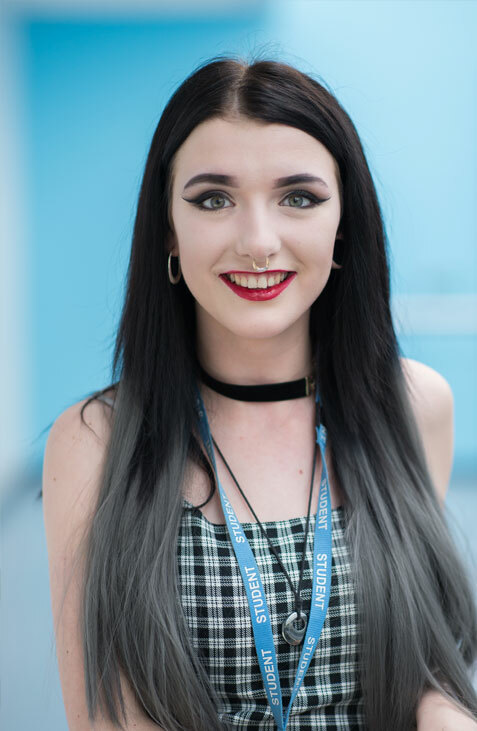 On A level results day, Shannon achieved two A*s and a B, exceeding her predicted grades and securing a place at her first choice university, The University of Manchester to study Law combined with Psychology. She hopes to take advantage of their work placement schemes and also the opportunity to study abroad. Shannon’s interest in law developed further after participating in the annual Behind Bars Conference with College, where she had the opportunity to discuss sentencing and reform with ex-offenders and gain an insight into the UK justice system and prison rehabilitation. Whilst Shannon is busy preparing for university life in September, she will complete work experience with Merseyside Police, at her local police station in St Helens. Her day-to-day tasks will include shadowing Police Officer’s in the community and understanding the daily administration processes at the station.